Andrei and Sofia are both teachers from Ufa, Russia and they are very excited to be re-united with relatives who are already living in Israel. In fact, they will even live with them for a while. Although it is difficult for the couple to part their friends and their usual way of life, they are looking forward to new job opportunities and better health care. 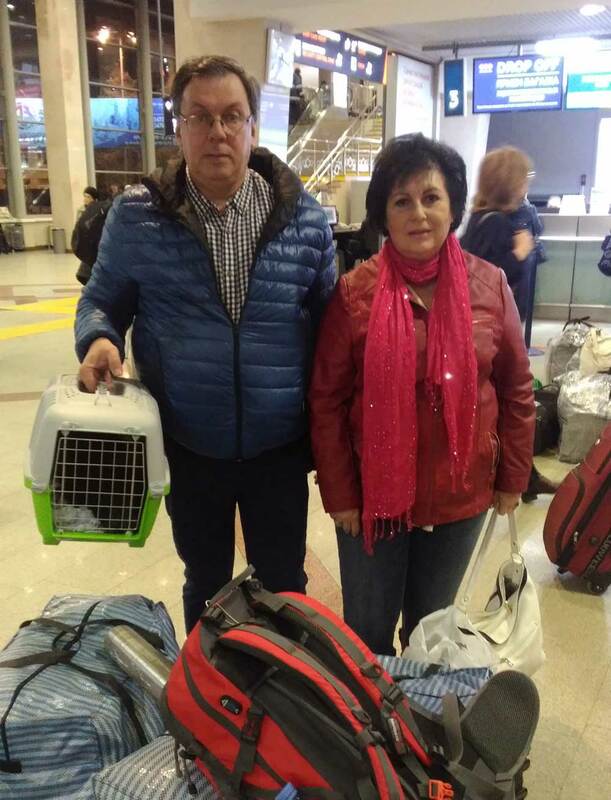 Ezra International helped Andrei and Sofia with the registration of their passports, with additional luggage. We brought them to the airport and helped them load and unload their luggage for that journey. Initially the couple thought that this help was coming from the Jewish Agency and were very surprised to learn that it was Christians who were helping them! They are very grateful for the help and support – it’s very important to them.